Connected technology installed on a traffic light in Marysville, Ohio communicates with connected vehicles as they approach. Over a 35-mile stretch of limited access highway and 27 traffic lights, an estimated 1,200 vehicles (or 10 percent of all vehicles driving through Marysville) will test the technology. Vehicles will be equipped with after-market, on-board units that will synch with other cars, traffic lights, roadside signals and crosswalks. The vehicle data will be anonymously collected and transmitted back to the ODOT Traffic Management Center. At the center, real-time decisions can be made, like if a driver hits a patch of black ice, their vehicles will immediately send an alert to ODOT's Traffic Management Center, who can then dispatch salt crews to the slippery surface. 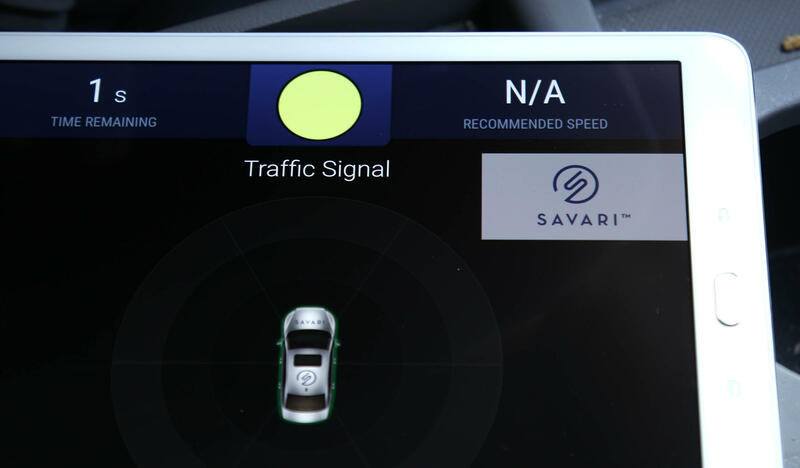 A connected technology application displays traffic signal information and speed recommendations on an on-board tablet as a driver pulls up to an intersection. "This technology is going to disrupt transportation for the better like we haven't seen since the creation in the interstate system," says the Executive Director of DriveOhio Jim Barna. DriveOhio is an initiative of ODOT tasked with developing and testing smart mobility innovations. Barna thinks Ohio is uniquely positioned to advance this emerging technology because it's within a day's drive of 60 percent of the U.S. and Canadian populations. Over the next two years all 1,200 vehicles will be outfitted with the on-board units. 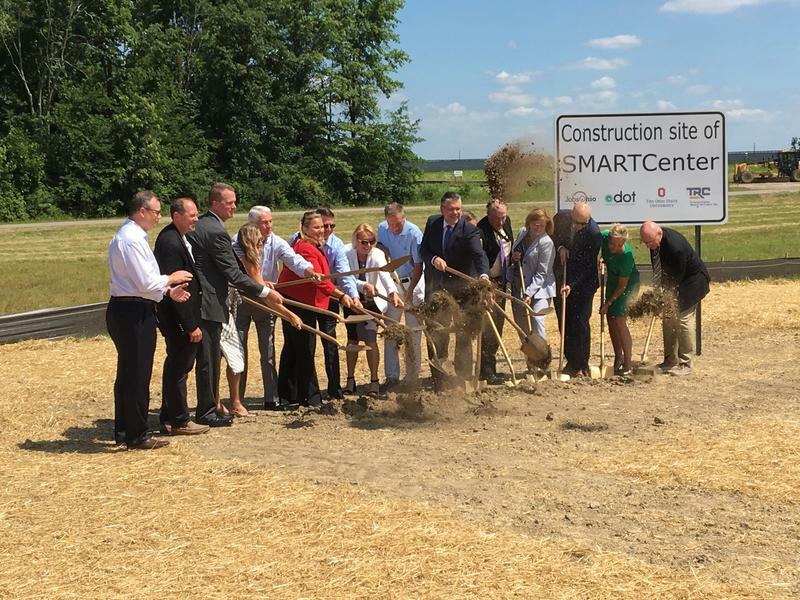 In addition, DriveOhio is in the process of signing agreements with cities all over the state to test the connectivity, including Springboro. It's interested in getting traffic lights to talk to cars on St. Rt. 741. That's where it has five schools and needs to find better ways of managing school traffic.